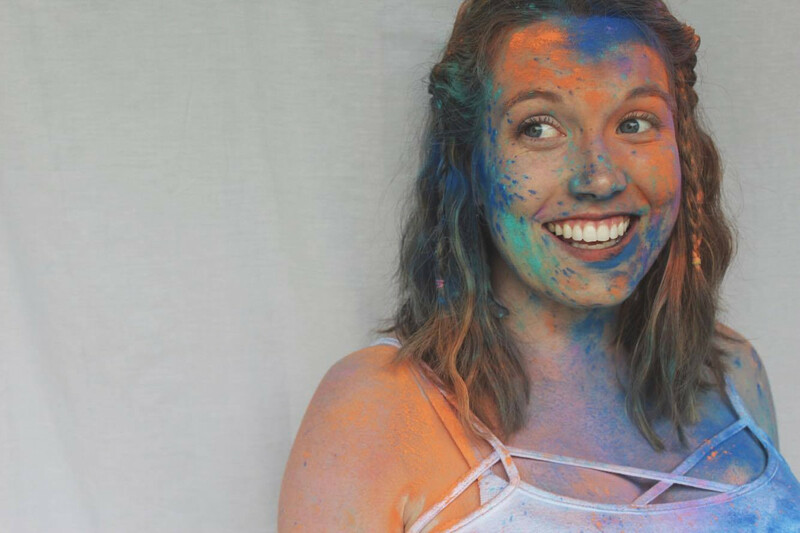 (Bee)autiful Blessings: 3 Ways I'm Avoiding Cabin Fever this Winter! 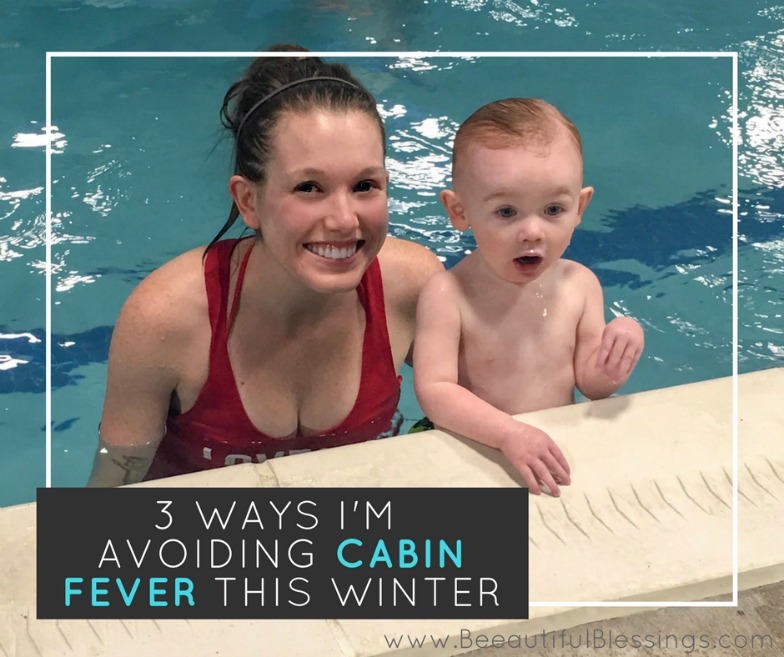 3 Ways I'm Avoiding Cabin Fever this Winter! I don't know about all you other toddler parents, but Charlie has energy for daysssssss. I'm so thankful that I get to be home with my boys 3-4 days/week. Those days are not always easy though with my little Energizer bunny. Charlie is such a sweet, fun kid. But if he doesn't get out of the house he gets a little stir crazy. And by a little stir crazy, I mean just plain crazy. He has so much energy to burn, and frankly, I hate the days when I just plant him in front of the TV all day. I know it's not good for him, and it makes me feel like a terrible parent. Unfortunately, their baby and toddler story times usually fall right around when Crosby goes down for a nap. I rarely make it to story time, but our small little library is still such a fantastic option for us. There's usually at least one other kid around Charlie's age that he can interact with which is so good for him. Plus, I don't know what it is about milk cartons wrapped in contact paper, but Charlie loves their kids' toys! We go three places in town: Aldi, Kroger, and if I'm desperate, Walmart. Though not super exciting by any means, little trips here and there allow me to get some walking in, Charlie has a blast driving the little car on the front of our shopping cart, and the car ride makes them sleepy, just in time for naps! 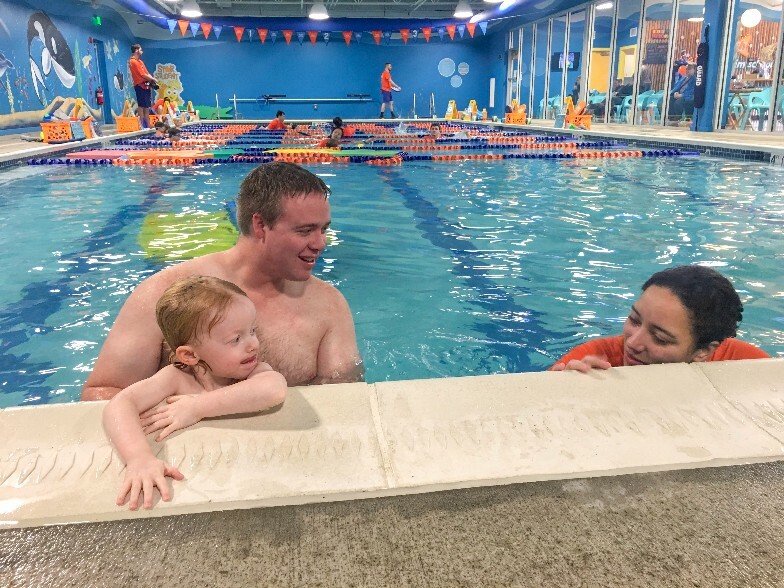 We are so blessed to have Charlie and Crosby enrolled in swimming lessons at Goldfish Swim School- Dayton. The boys are doing so well and learning so much! (You can read about their very first lesson here). Recently, both of them started going underwater (can you believe that my 15 month old knows how to hold his breath under water?!). 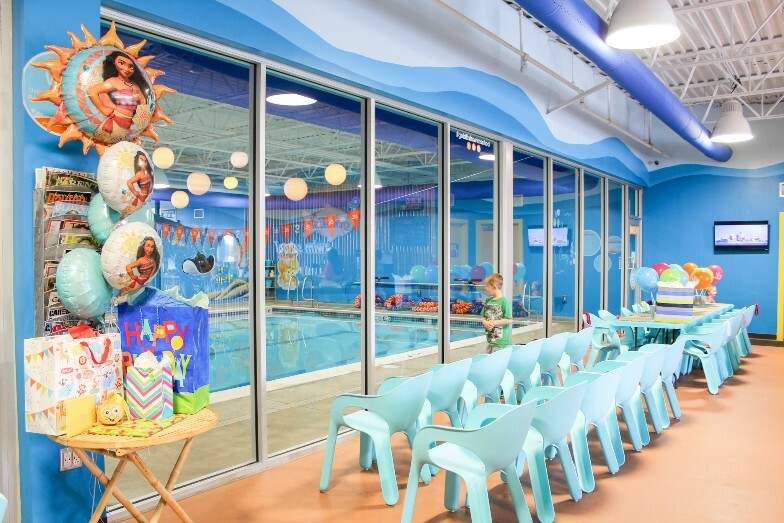 The best part about swimming lessons is that we can make it a fun outing for the whole family! Since Chuck works full-time, he misses out on a lot of fun time spent with the kids. The fact that all four of us get to do an activity together is so special. And Chuck isn't the only one! 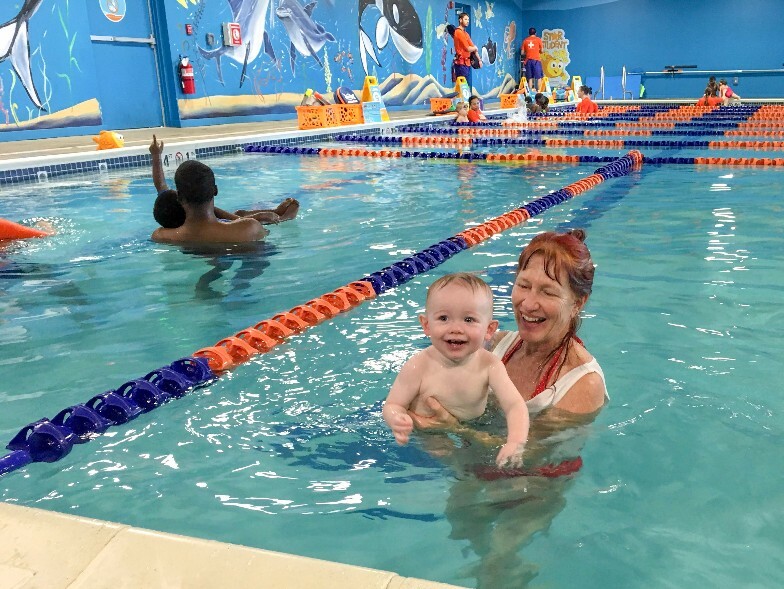 When my mom was in town for Thanksgiving, I rescheduled our weekly lesson so she could swim with the boys. It was a fun bonding experience for Grandma since she doesn't get to see them on a regular basis. 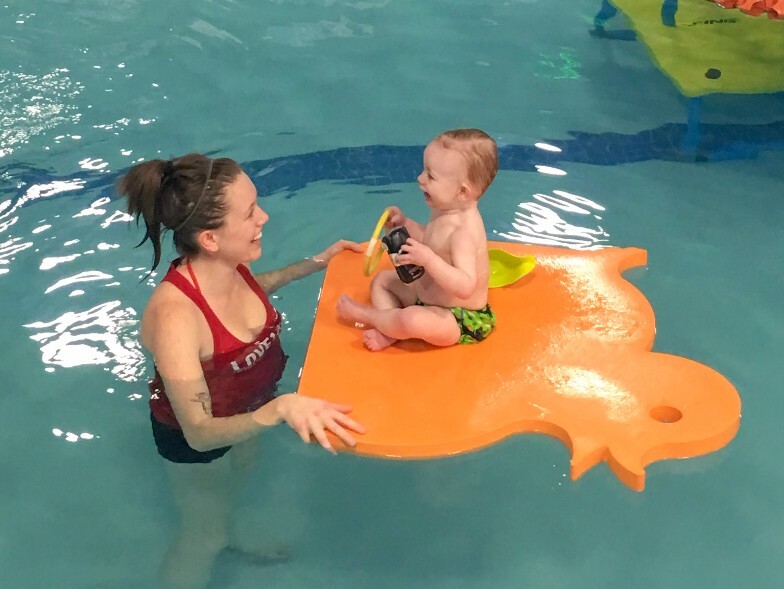 If you're worried about cabin fever and thinking about enrolling your child in swim lessons, I can't recommend Goldfish enough. Everyone there is always so kind and helpful. They're in the business of catering to children which is so refreshing as a parent, because obviously not all businesses are kid-friendly. (Example: They could not have been more sweet and understanding when a hypothetical, un-potty trained toddler hypothetically peed on their bathroom floor while changing out of his swim diaper). For $175 ($250 value), Moms and Dads can have the peace of knowing their little one is safe in the water. Grandparents can have an awesome, unique activity to do with their grandbabies. Aunts and uncles can give an amazing gift to the family member that already owns a billion toys. If you'd like to know more about Goldfish or infant swim lessons in general, please reach out to me. We have genuinely loved our experience at Goldfish and have nothing but wonderful things to say about them!